What do I need to remove my citroen stereo and put a new one in? My husband said something about a key??? If I need a special key, I don't have one, will one from another stereo work? But all i would do is find 4 long and thin nails, push them in and out it would pop. I removed the standard radio/cassette from my Mk2 the other day and used something almost exactly like the "keys" in the picture above, I originally bought mine from Ebay to change the stereo in my wifes Ford Fiesta but the same keys worked on the Citroen stereo. Although the keys only cost a few £'s they do make things very simple, simply push into the holes each side of the stereo, then pull them out with the stereo attached. You could of course use a DIY solution using 4 long nails or similar, but it may be a little more awkward. Please make sure you disconnect the vehicle battery before changing the stereo, otherwise you may inadvertantly blow the 20A Stereo fuse (located in the fusebox under the steering column). As for other connections, it will depend on the stereo you are fitting. I found my Alpine stereo was a straight swap. Although you may find that the central display unit on top of the dash will no longer display radio station information, or the steering column stereo controls may no longer work unless you buy a patch lead suited to your stereo. Yep, that sound right! On a scale of 1-10 (10 being hardest) how easy is it to swap a stereo? I've never done it before! Not terribly difficult. The hardest bit is getting the new one to fit neatly in the hole. It obviously won't match as the Citroen one has a specifically shaped bit of plastic on the front. You may find the aerial socket is different - Halfords sell adaptors at "Ouch my wallet hurts" prices.The wiring is probably fairly standar, you can buy adaptors for that if necessary. You may find the control stalk on the steering column won't work. (23-08-2012, 02:08 PM)hachiroku Wrote: Please make sure you disconnect the vehicle battery before changing the stereo, otherwise you may inadvertantly blow the 20A Stereo fuse (located in the fusebox under the steering column). Or take the fuse out? Think mine looks ok in the Citroen 'hole'. (23-08-2012, 06:15 PM)crickleymal Wrote: Or take the fuse out? (23-08-2012, 06:22 PM)j90xxx Wrote: Think mine looks ok in the Citroen 'hole'. 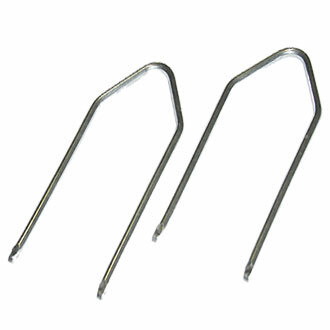 Wire coathangers are approximately the same gauge of wire to make the tool.........make the citroen shape shown, but bend the legs in toward each other a touch at the tips and you will find it works nicely!! This is my stereo if it is a fairly new cd player your fitting it is straight forward as it should have the standard iso connections as others have said you will loose the function of the lcd display and also the steering wheel controls. One other thing is the wiring on your new stereo should have a red and yellow wire these need to be swapped over so that red goes to yellow and vice versa by doing this it will keep its memory functions. That looks fine to me "suits you sir"